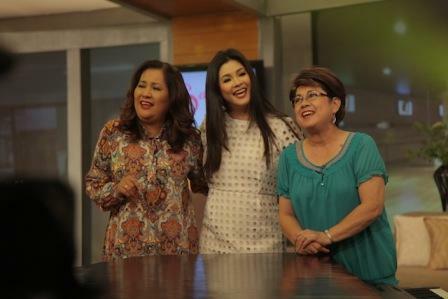 This Saturday (March 16), Asia’s Songbird Regine Velasquez-Alcasid welcomes two comedy icons --Tessie Tomas and Nova Villa -- into her kitchen. Regine’s living room turns into an instant dance floor as they take on cool ballroom dance moves before heating up the kitchen. 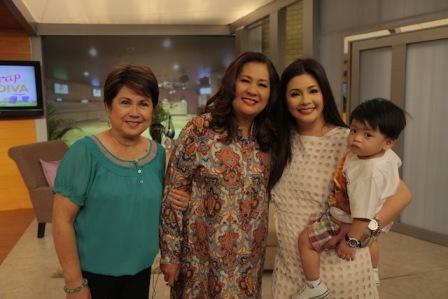 The Songbird is up for a feast as the two showbiz royalties share their specialty recipes -Teysie's Tasty Tuwalya, a classic callos dish and Nova's Seafood Supernova, a hot and spicy mix of clam, squid and shrimp. No topic is off limits as the two iconic comediennes open up about their showbiz careers, friendship and secrets to their respective happy marriages. 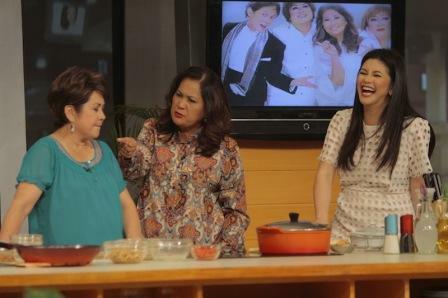 It's all about good food, talk and music in Sarap Diva, 9:40am on GMA.